Every gold investor is in expectation of an increase or stabilisation of interest rates at last. Nonetheless in favour of the Fed, the previous meeting on Wednesday shed light on the first increase of interest rates which is believed to take place in about a decade. This wait though is shaking prices up, particularly this week. The policy statement for the current month will be based on labor market data, inflationary pressures and forecasts which depend in the financial development of different countries. But however the data were, the optimism fuelled by the figure of gold prices above $ 1,210 per ounce on 29 April continued on 30 April. In spite of it, the recent publication of strong employment data in USA busted gold prices from $1,205 to nearly $1,180.50 on 30 April. The meeting with the Federal Open Market Committee also influenced gold prices in Asia, while in Europe it reached a session-high above $1,213.50 per ounce. On Labor Day, gold prices were raising at a gradual pace before falling to $1,172, the lowest point of the week, and since March 19. Yet the precious metal shows strength against dollar – which regained ground when the previously mentioned positive data was published - and rising rates. During the weekend, the prices of gold remained at $1,178.54 per ounce. On Monday 4, investors aimed at recovering from previous losses and investments in gold increased, increasing its price from $1,184.50 to $1,191.50. The main reason was the assumption of investors of a possible interest rate hike before the start of summer. That is why gold will likely gain support in the following weeks. Meanwhile in Japan, the so-called Golden Week – a public holiday – closed markets keeping gold prices stable in Asia. On Tuesday 5, gold prices continued a steady growth to $1,199.30 per ounce when dollar started to lose its strength. Now it only remains to hope and wait the Federal Reserve to take a final decision soon to forecast the future price of this coveted precious metal. 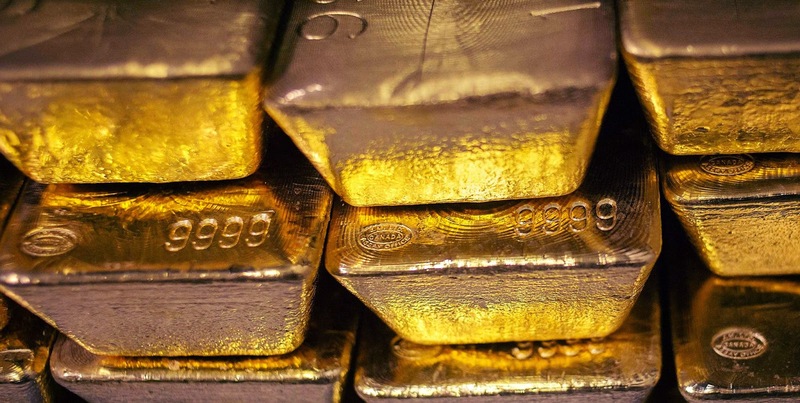 The clients of Emgoldex have the opportunity to buy investment gold bars under the most profitable conditions regardless of the ups and downs of gold prices in the market. They do it in the online store and guarantee themselves a present and future with financial stability! Share the latest news of the gold market and the best opportunity to find economic well-being!